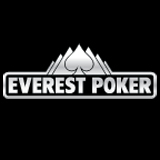 Online casino operator BetClic Everest Group has signed a deal with Playtech Limited for its EverestPoker.com and BetClic.com domains to join the gambling software designer and supplier’s iPoker Network. BetClic Everest revealed that the agreement also sees players at the sites given access to Playtech’s numerous poker and casino product enhancements and innovations while it has additionally improved the rake structure for French competitors by combining the player pool. “We are pleased to offer the best-of-breed technology to our poker players,” said Ignacio Martos, Chief Executive Officer for BetClic Everest. “It is a testament to Playtech’s market-leading position and innovation that a renowned brand such as BetClic Everest has joined our iPoker Network and liquidity pool,” said Mor Weizer, Chief Executive Officer for Playtech. “Playtech is committed to regulated markets and the launch demonstrates its unique position and ability to establish itself as the leading supplier in all regulated markets. “France remains an important market for Playtech and the combination of BetClic Everest’s leading position and our advanced technology together with significantly enlarged liquidity pools will lead to material benefits for Playtech and BetClic Everest. “Outside of France, the launch of BetClic and Everest poker on iPoker.com further strengthens the network’s liquidity and cements its position as the natural choice for leading poker brands.